Steve McMurry: Acoustic guitars, mandolin, vocals. Bryon McMurry: Banjos, electric guitar, vocals. 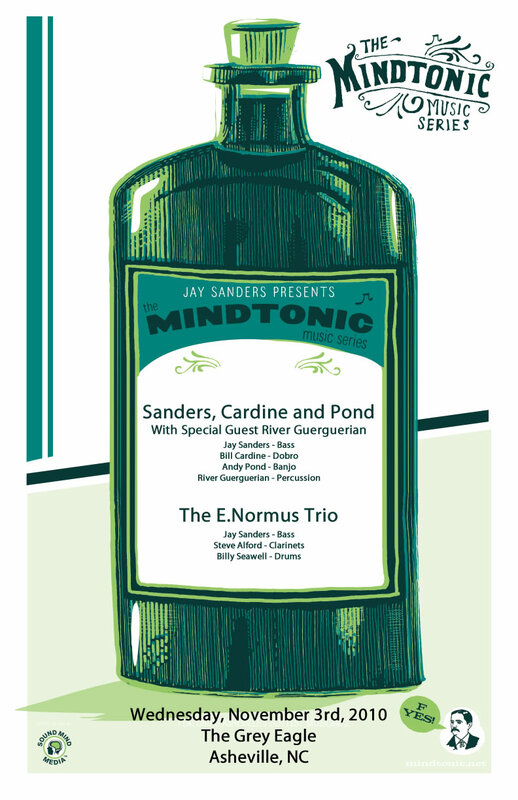 Jay Sanders: Acoustic upright bass, electric bass. Billy Cardine: Acoustic and electric dobros. 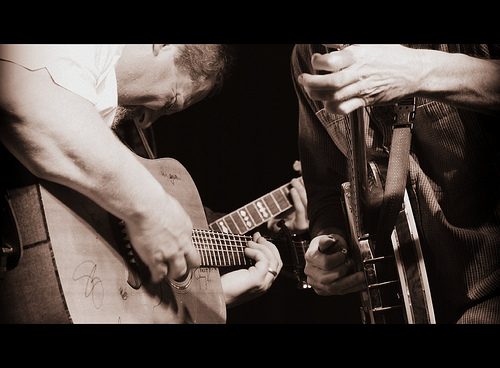 Acoustic Syndicate was born in December, 1977 when Joe and Fitzhugh McMurry, a couple of brothers from Cleveland County, NC got together and decided to get their kids bluegrass instruments for Christmas that year. The kids were brothers Fitz Jr. and Bryon McMurry, and their cousin Steve McMurry. Fitzie, as he was known back then, got a Gibson Hummingbird guitar. Bryon got an Eagle banjo and Steve got a fiddle from Sears & Roebuck. All were excited and happy. The trio was nicknamed the “The Maple Creek Three” by Fitzhugh Sr. They learned a few songs, mostly church songs from the Methodist hymnal, and threw in a couple of country and bluegrass numbers and before long they were playing whenever they could…mostly serving at the pleasure of the parents at family gatherings and church functions. Joe and Fitzhugh, taking great delight in the results of their scheme, had unwittingly laid the foundation of what was to become Acoustic Syndicate. The boys spent the remainder of their childhood and adolescence singing, playing, living and working together on the family farm in Cleveland County. After high school the trio drifted on separate paths for a while…moving off to college, taking jobs, getting married and so on. But the boys would always make time to get together and go see some good, live music…anything from bluegrass to punk rock. One could find them at a reggae festival on Lake Norman as easily as you could see them at the Milestone in Charlotte to see the Bad Brains, or in DC at a Grateful Dead show. In 1992 the three landed back in Cleveland County, quite by coincidence, and started playing again. In 1993 the trio added Doug Rogers to the group on upright bass. The band played their first gig as The Mint Jubilee Blues at the suggestion of a friend. After some debate on the topic, the band decided on “Acoustic Syndicate” over dinner at the old El Cancun Mexican restaurant in Shelby, NC in October of that year. Bryon actually came up with the name. The Band started out pretty much as any other, playing at parties, bars and alike. In 1994 the band caught the attention of Steve Metcalf of the world famous Green Acres Music Hall, in Bostic, NC. He featured them at “The Acres” on a couple of big bills like David Grisman and Bela Fleck. 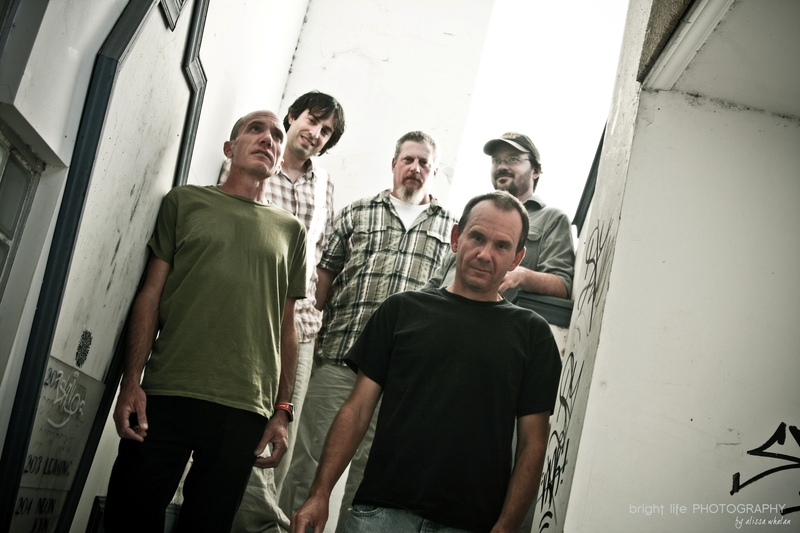 In 1997, the Syndicate added Nashville bassist, Jay Sanders, formerly of the Snake Oil Medicine Show to their line up to complete the Syndicate core. The rest is a matter of record. From there, with the help and connections of Steve Metcalf and the booking of Hugh Southard at Blue Mountain Artists, the band went on to tour the country extensively for the next eight years, completing six recording projects, two of them for Sugar Hill Records. In 2001 they added long time friend and collaborator, Jeremy Saunders on saxophones. 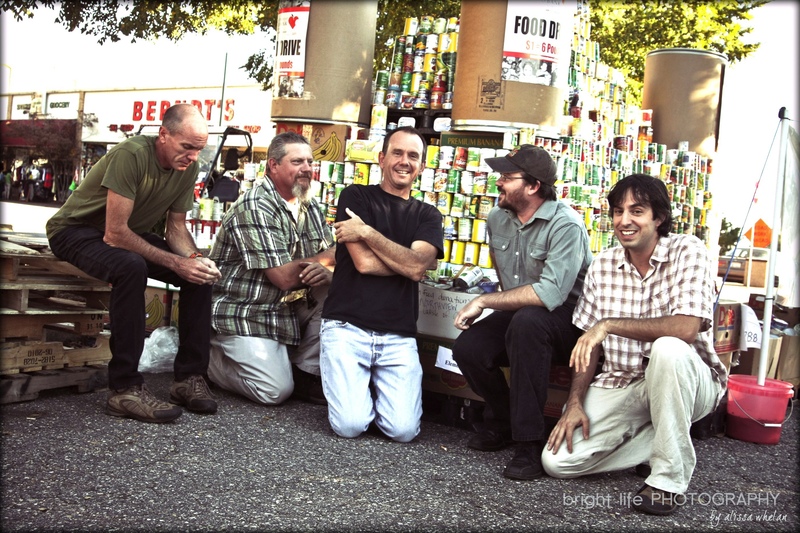 With their distinct brand of folk rock, bluegrass and reggae, coupled with their romper room, ultra high-energy, live performances they went on to be regulars at the biggest music festivals in the country, playing Bonnaroo, Farm Aid, High Sierra Music Festival, Telluride Music Festival, Merle Fest, Magnolia Fest and many more. The band played most of the A list rooms in the country and continued to tour and record until 2005. The collapse of the record industry along with growing family needs at home forced the band to either commit to a long term tour schedule, or stop playing. 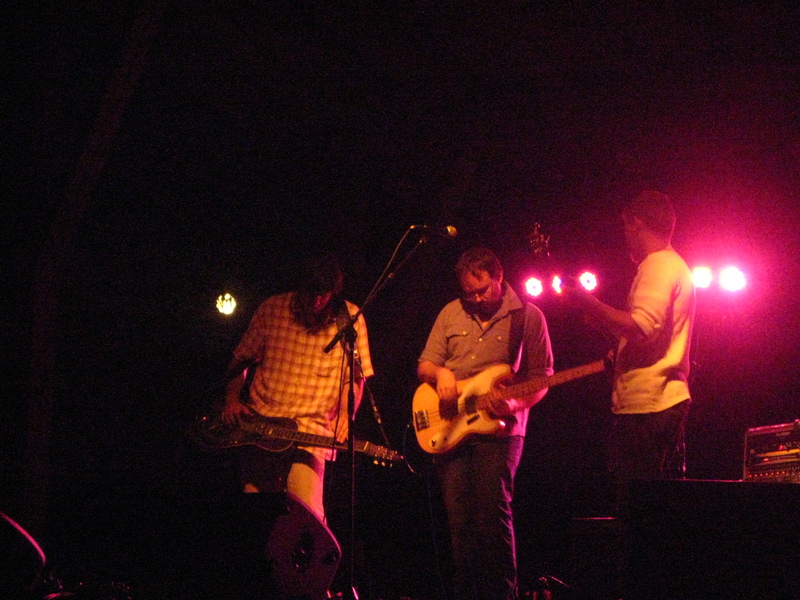 The band decided to call it quits at Smilefest in May of 2005. The decision to disband would not stand. After only a two year break, the people called for the music to continue, and at the frequent and steadfast urging of Blue Mountain Artists, the Syndicate decided to play again. From the very beginning the band resolved to play honest, good music with emphasis on musicianship and vocal harmonies. The mission was to provide good music to the masses as an alternative to the cookie cutter, self-centered industry standards of the day. Their body of original material always conveyed a positive message of coexistence, peace, conservation, sustainability and happiness. They opted to leave the sappy love songs to those who take no exception to wasting the precious time and minds of the body politic. 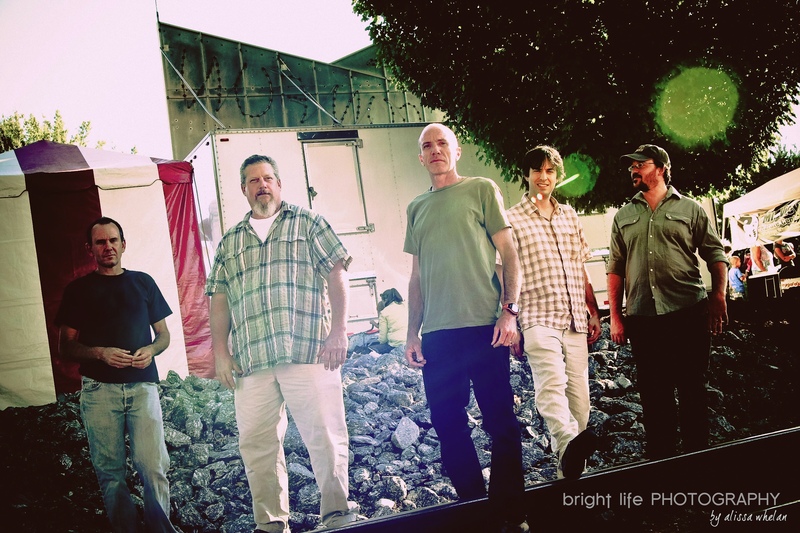 Acoustic Syndicate plays on with its message of peace, earth, unity and family. The Syndicate will enter the studio this winter to begin work on their 7th recording. They can be found out and about in the South East touring with their new music and their newest addition to the group, dobro player Billy Cardine.